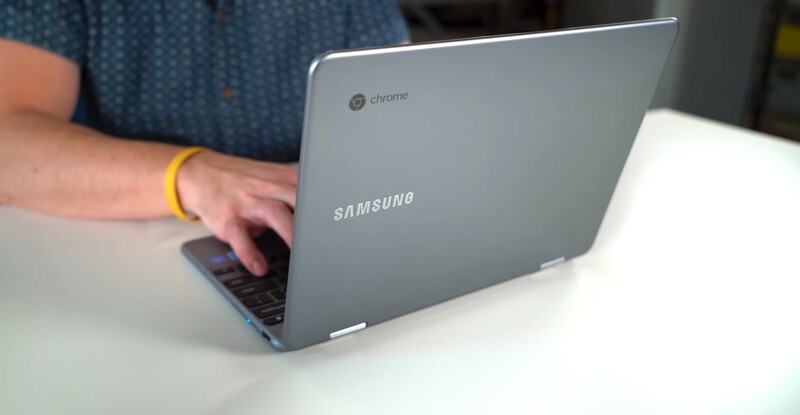 As noted in the article and video, it has come to our attention that the Samsung Chromebook Plus V2 on Amazon is a different model than what we’ve reviewed on our site and YouTube channel. Please read this article and be sure you fully understand what you are purchasing! We’ve said it before and we’ll say it again many times, I’m sure: if you don’t quite like the asking price of a Chromebook on any given day, give it a bit of time and it is quite possible that the price will become much more agreeable. It happens so frequently in this space that we have an entire category dedicated completely to deals and we don’t anticipate it slowing down any time soon. Earlier today, Gabriel posted about a fantastic deal on what could easily contend as one of my favorite Chromebooks available right now: the HP Chromebook x360. At $399 dollars, that deal is almost impossible to pass on, though it does end soon. However, there is another insane deal going on right now that could meet the needs of another set of users. As good as the HP x360 is, there is something it is missing: a dedicated stylus. While this may not be the most important thing for everyone, it is a differentiator that sets the Samsung Chromebook Plus V2 apart from most Chromebooks. Having a stylus is a fantastic add, but having one that lives inside your device takes it to the next level. With a place to live, the pen is always there and ready for you when you are ready to get to work. In addition, you’re getting a Chromebook with a fantastic FHD+ screen (1920×1200), a very solid build, great keyboard/trackpad, Core m3 processor, 4GB of RAM, 64GB of internal storage, and 2 cameras (one of which is 13MP). It is a decent deal at the $599 MSRP, but at the $449 asking price right now on Amazon, it is an easy recommendation. As with all of these deals, you might want to act fast. There’s no telling when this one will slip away!